Average well preserved denarius weight 3.11 grams. Add historical and numismatic references for Antonia here. 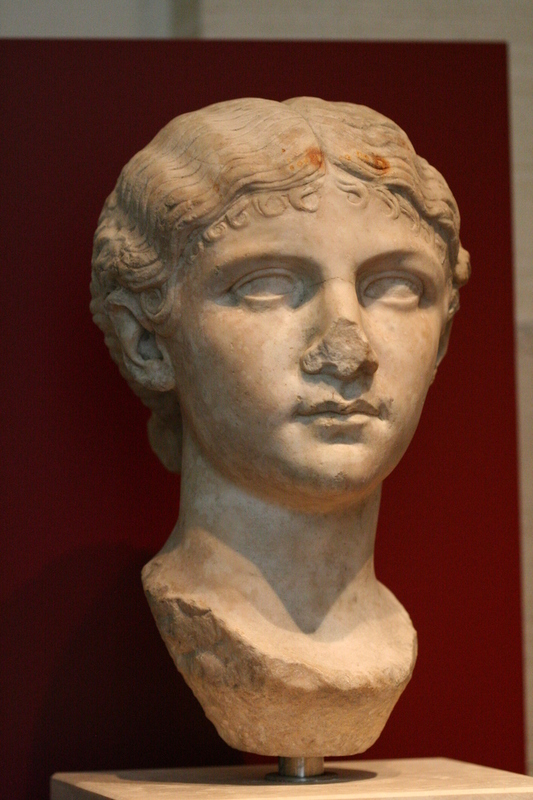 ANTONIA AUGUSTA, daughter of Mark antony and Octavia, married to Drusus Senior and the mother of Germanicus, Livilla and the future emperor, Claudius. She was born in 38 or 39 B.C. and died in A.D.38, the second year of her grandson Caligula's reign, who, according to Suetonius, was suspected to have poisoned her. She is spoken of, by historians, as a sensible, amiable woman; attractive, graceful and a noble example of faithfulness to her husband and then of honourable widowhood. Her gold and silver coins are very rare and her bronze is scarce. One of these bronzes, the obverse of which is pictured at the top of this column, bears on one side the head of Antonia "with her hair twisted to the back of her neck, and a countenance expressive of sense and mildness," and the legend ANTONIA AVGVSTA. The reverse has the emperor Claudius, veiled and togate, standing with a simpulum in his right hand and the legend, TI CLAVDIVS AVG P M TR P IMP. Antonia was given the title of Augusta by her grandson, Caius (Caligula), who also granted her the dignity of a Vestal. (See SACERDOS DIVI AVGVSTI). No bronze coins with her name and portrait were produced during her lifetime, the coin described above, and another, were struck in her memory by her son, Claudius. Antonia was called minor, to distinguish her from her eldest sister, whose name was also Antonia, and who was married to Lucius Domitius Ahenobarbus, the grandfather of Nero.